OCEAN ISLE, NC (WMBF) – Nine years after his mother was killed in a parasailing accident, Bart Woodcock is still searching for answers on why the industry lacks regulations. "If there were regulations, I feel like my mother wouldn't have been out there in that ocean, because they were just trying to make an extra buck," Woodcock said. "I just don't know what they were thinking. I don't know what North Carolina was thinking as far as not having any regulations." Cynthia Woodcock was one of two victims who plunged to her death in 2009 after high winds snapped the parasail towline in Ocean Isle, North Carolina. The investigation following the accident found the parasailing company, North Carolina Watersports, took customers out in the water despite the approaching Tropical Storm Danny, wind speeds up to 34 mph and hazardous weather alerts. For Bart Woodcock, one of the hardest things about the tragedy is it could and should have been avoided. North Carolina did not have any regulations for commercial parasailing in 2009. Years later, the state still does not. In fact, nationwide there is little regulatory government oversight on the water activity. "They don't know that their life is in danger when they get in that boat. You know, you get in that boat, that's it. You're in the hands of the captain and the first mate," Bart Woodcock said. Passengers continue to suffer injuries and death from parasailing since 2009. Over the years, operators in Myrtle Beach have been sued for injuries from broken ankles to injured feet. "I think everyone thinks it's not going to happen to them, 'Oh, I have enough time. 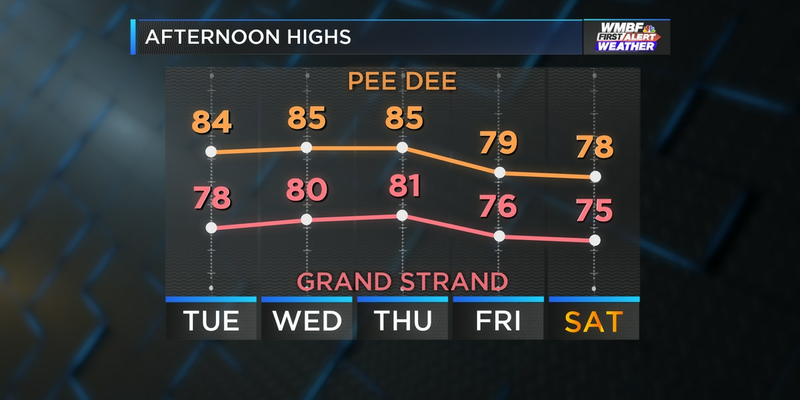 I see the storms coming' kind of thing and they can make 50, 60, 70 dollars every person they put up in the air and I'm sure greed comes into play at some level," said Jay Dalton, a parasail operator in Wrightsville Beach. Many of these accidents are caused by operating in high winds and nearby storms. The Ocean Isle Investigative Report found weather to attribute to 40 percent of accidents. These were the conditions when the Kulshreshtha family went parasailing in Myrtle Beach with Ocean Watersports, according to court documents. "The captain of the boat was driving too quickly and tried to make a pretty sudden stop and Ms. Kulshreshtha did not land evenly and shattered her ankle, her bone was actually sticking out," the Kulshreshtha family's lawyer Clay Hopkins explained. Even though passengers have to sign a waiver before parasailing, the waiver does not protect companies from being grossly negligent. "That means showing a disregard for the safety of someone else," Hopkins explained. Many other court cases across the Grand Strand highlight a lack of "safety instructions" and operation in a "careless and reckless manner". Hopkins said in the case of Ocean Watersports, he has found the company does not give a safety briefing to passengers before heading to the water. 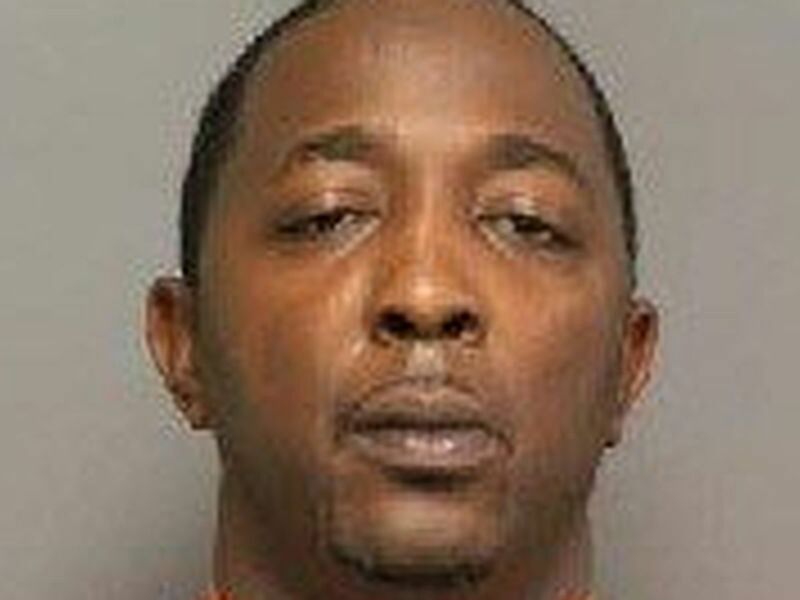 "I think their whole operation is really concerning to me but if I had to pick out a few things, it's just this lack of awareness that we need to teach these people how to be safe," Hopkins said. "What's really concerning to me is that there's no evidence of any of that from the people I've talked to." Dalton also agreed that safety briefings should be a mandatory requirement. "They need to know what to do in the event of a water landing," Dalton expressed. "If nothing else is regulated, that should be regulated." Despite these repeated incidents, there hasn't been much change in the laws surrounding the activity. "Our job is then to hold them accountable and talk to the people who have been doing this and are the experts in the industry," Hopkins said. Since parasailing encompasses boating and aviation, it has been hard for organizations to decide who should be responsible for monitoring this niche activity. The U.S Coast Guard (USGA) issues captains licenses but there is no specific parasailing license. The Coast Guard is also responsible for investigating any injuries or deaths that occur on the water. Parasailing businesses are required to report injuries to the USGA and in some cases to local police departments. After a man lost both his legs in a Myrtle Beach accident in June, the Coast Guard opened an investigation on Ocean Watersports. Henry Owens was moving from the parasailing boat to the banana boat when he got caught in the motor. The USGA issued a Captain of the Port Order and temporarily stopped business. After a few days, the business was allowed to operate normally. That investigation is ongoing. Ocean Watersports has failed to report injuries and equipment failures to the Coast Guard in the past. At least two Coast Guard incident reports in 2014 and 2007 reveal the company failed to immediately notify the agency. The Federal Aviation Administration (FAA) is involved with flight and kite standards. The administration said it does routinely check in on local flight operators along the Grand Strand to check on safety. The FAA also hosts a safety meeting in Myrtle Beach each year where operators voluntarily agree to flying at certain altitudes. States can be involved, but few have any laws in place. After many parasailing deaths and failed bills, Florida finally passed a law in 2014 outlining laws on liability insurance, safety briefings, and weather conditions. South Carolina and North Carolina lack similar bills. 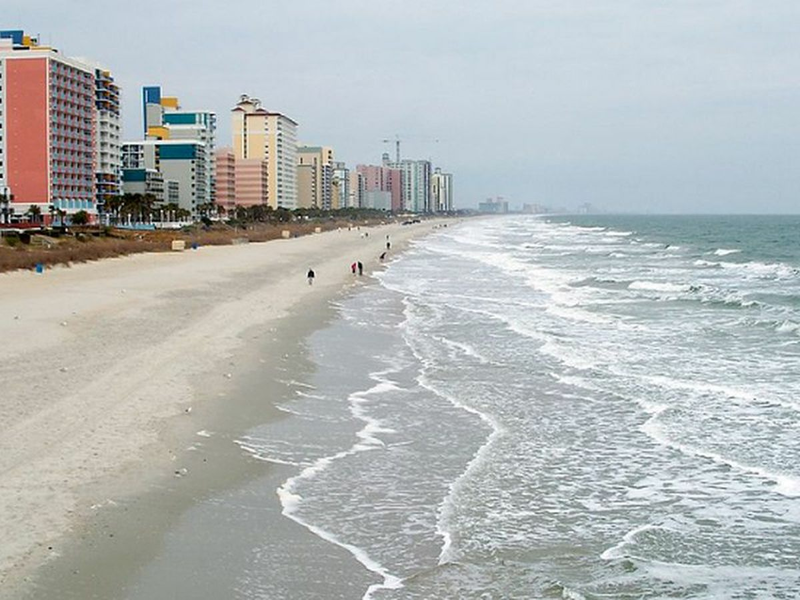 Locally, cities along the South Carolina coast, including Myrtle Beach, have a few ordinances in place related to approved location, wind speeds and weather conditions. 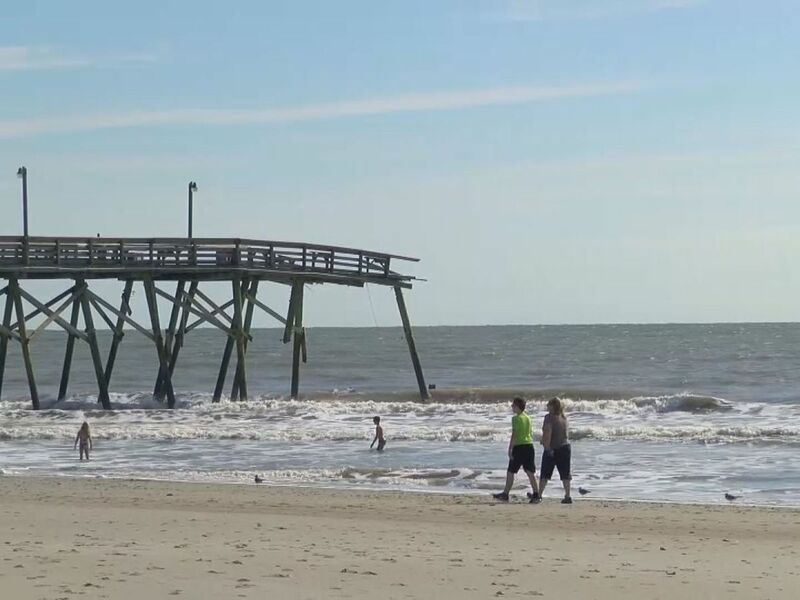 When it comes to enforcing this, Myrtle Beach said the Beach Patrol and lifeguard services are responsible for alerting the police department of any regulation violations. However, many court documents on parasailing accidents in the area still describe choppy and cloudy weather conditions. The Myrtle Beach ordinance also mandates incident reports be filed with Myrtle Beach Police Department. 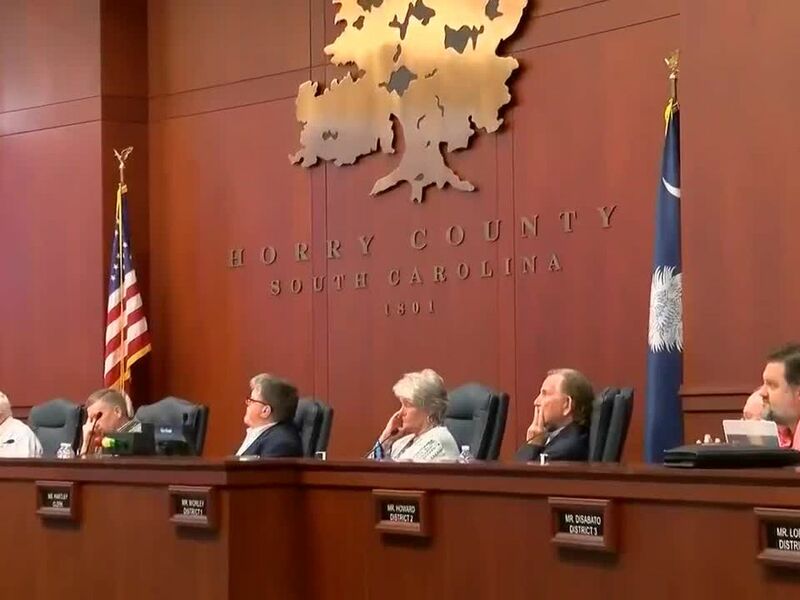 However, when WMBF requested copies of accident reports related to parasailing and the department pointed to the South Carolina Department of Natural Resources (DNR). Then, DNR said it does not regulate parasailing and only assists the Coast Guard when needed. The last regulator in this business comes down to operator's insurance providers. "'Hey what kind of accidents have you experienced? How experienced is your captain? How many years have you been on the water? All those things go into what affects your insurance rate," Dalton said. Insurance companies have also started doing inspections and becoming self-regulators. However, if a company failed an insurance inspection, they would lose their insurance, not face any legal consequences. So are there any standards for safety? "Most industries do not want any regulations but when lives are at stake there has to be fundamental regulations in place," said Larry Meddock, the Water Sports Industry Association chairman. Parasail operators are aware of the inherent risk parasailing involves. While millions participate in the activity each year, the accidents that continue to happen are often result in more than a bruise. After the Ocean Isle accident, the investigation made multiple recommendations to the Coast Guard to improve safety. One of the recommendation was to establish distinct license, training, qualifications, and experience requirements for parasailing captains and crew members. The report also recommended creating guidelines for equipment inspections, required boat inspections, certification of parasail boats and the creation of a safety examination program. While the Coast Guard agreed with the intent of most of the recommendations, it did not strongly support federal regulations. "We believe a voluntary consensus standard initiative of ASTM and industry working group will provide the industry an opportunity to improve safety without additional Federal Regulation," the Coast Guard responded in the Ocean Isle Investigation. As a response, the FAA, U.S. Coast Guard, and the Water Sports Industry Association joined forces in 2013 to create an international ASTM safety standard for parasailing operators. "As an industry we were all just individuals and through this process we have become a group now that we were never really in the past and a lot of that is due to the Coast Guard directing us and the creation of the ASTM standard'" said Matt Dvorak, the chair of the WSIA Parasail Committee. The standard sets guidelines for weather conditions, training time, equipment inspections, records maintenance and crew operations. However, parasail operators volunteer to follow this standard, they are not mandated to. "Is it causing everyone to do it? No, but is helping get rid of some of the bad apples in the industry? It is," Dvorak said. "It definitely is." Each year, the organization hosts an annual symposium where it reevaluates its standards and discussing ongoing industry challenges. Meddock said around 90 percent of WSIA members follow the standard religiously. In South Carolina six businesses are WSIA members. Four of these businesses are located in Myrtle Beach: Atlantic Watersports, Downwind Sails, Express Watersports and Ocean Watersports. However, both Atlantic Watersports and Ocean Watersports have been sued for personal injury related to parasailing accidents. In a 2014 special report, the National Transportation Safety Board concluded a parasailing model act at the state level would "call attention to the significant risk associated with the activity" and provide a "solid foundation" for governments to begin the process of crafting regulations. The report also echoed the Ocean Isle Investigative Report's need for a specialized parasail license. "When you go parasailing with someone who knows how much experience that captain has," Dalton said. "There's some regulation there that I think would be valuable." Dalton has been an outspoken advocate for more regulations for years. He only received seven days of intense training when he bought his boat in the late 1990's. "I wouldn't want to go out with a captain that was as inexperienced as I was at that point and time and when you go parasailing with someone who knows how much experience that captain has," he said. The ASTM standard states parasail masters should complete a minimum of 500 flight rotations under the supervision of a qualified captain. The North Carolina captain is not a WSIA member and said he thinks some of their restrictions are not strict enough. Dalton sets his wind limits at 14 mph and 30-mile storm radius compared to the standard's 20 mph wind speed and 7-mile thunderstorm radius. The WSIA Parasail Committee is optimistic that parasailing safety will continue to help prevent future accidents. The organization stated there has only been one death since the industry standard was created. "We have room for improvement of course but every year, it keeps getting a little bit better," said Dvorak. Dvorak said the biggest challenge is keeping everyone involved and moving forward with better standards. Bart Woodcock is still waiting for the day North Carolina steps up. "They've got to get that together, a lot of people are going to get hurt," Bart Woodcock said. "A lot of folks are going to be in the same boat that me and my dad were and you don't want to be in that boat."